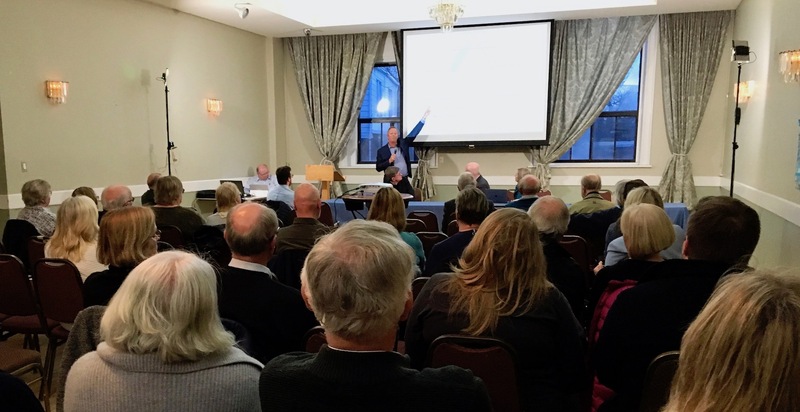 Caption for CES photo is: Members of the Estonian community attended the International Estonian Centre (IEC) Community Information Session at the Estonian House on March 27 to hear the latest news and updates. 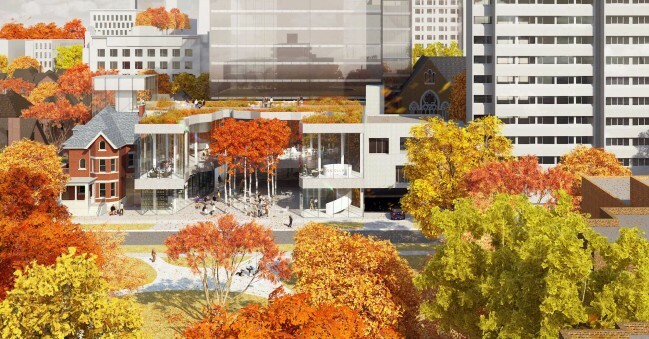 An engaged and enthusiastic audience came out to the Estonian House March 27 to hear from the project team on significant progress made in planning and development for the new International Estonian Centre (IEC) in downtown Toronto. IEC architect Alar Kongats described how input from the community’s user groups has helped refine the design process. 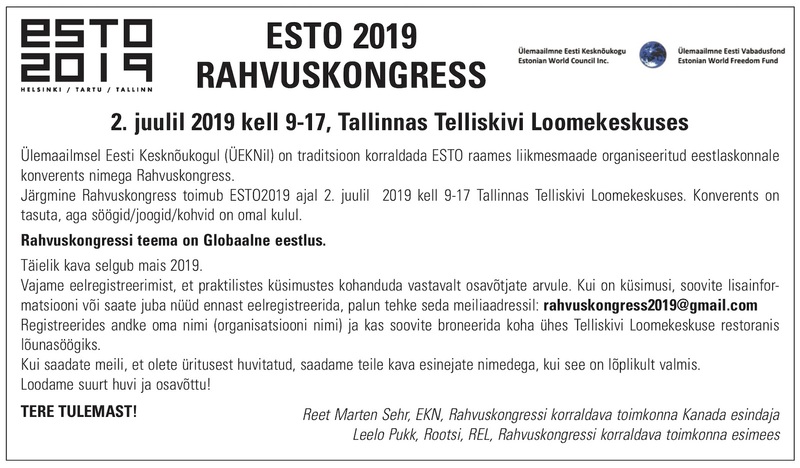 The project team started the consultation process about a year ago with groups that use the Estonian House including the schools, guides/scouts, folk dancing/sports, arts/film and business groups, chefs, pensioners’ club, and approximately 20 special interest groups. The team heard from the groups, took careful notes and then reported back during a second round of meetings, which wrapped up this week. Items discussed included everything from space and storage needs, acoustics, accessibility and age-friendly considerations, parking and kitchen logistics. Representatives from the user groups found the consultations to be a good experience. Elin Marley of Kungla folk dancing shares her perspective. The project’s architect found the consultations to be most helpful. Project manager David Kalm provided an overview of the development status, and alluded to sourcing materials from Estonia that could be used in the centre’s construction. He also said working with Revera, the seniors’ care company that purchased the Broadview property, is proving to be a very good experience. Legal committee member Mihkel Holmberg described the structure of legalities for the IEC, which has taken considerable time to ensure the best possible outcome. “The Estonian House property was purchased for a very reasonable sum over 50 years ago, so the capital gains on its sale could be significant,” he explained. The legal team has worked to set up a funding flow, including setting up a charitable trust, that mitigates these tax implications. Steering Committee chair Ellen Valter provided an update on the Capital Campaign, the goal of which is to raise $8 million for the project, which is estimated to cost $25 million in total. The campaign is off to a strong start, as $5 million already pledged, including a $3 million pledge from lead donor Andy Prozes. She encouraged community members to step up and take advantage of this opportunity to support our culture’s future and provide a comfortable, welcoming space for all. There are many “naming and recognition opportunities” left giving individuals and families a once-in-a generation chance to attach your family name to a space within the centre. 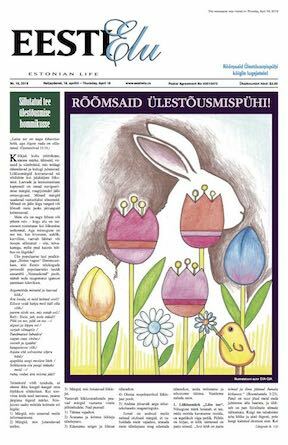 Please email Urve Tamberg at See e-posti aadress on spämmirobotite eest kaitstud. Selle nägemiseks peab su veebilehitsejas olema JavaSkript sisse lülitatud. to find out more about this opportunity.